Superior protective packaging made from 100% recycled EPS material. 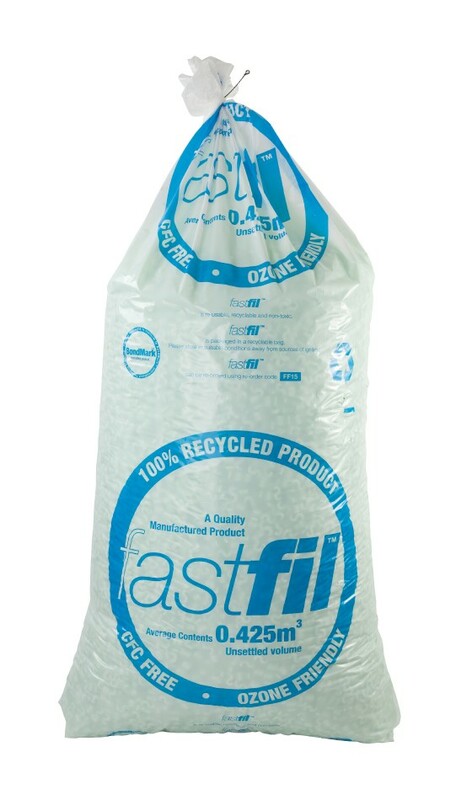 Fastfill loosefill particles are ideally shaped to fill up all the voids in the box. Interlocking shape provides perfect protection especially for heavy or odd shaped goods. Green coloured for easy identification, and designed to leave no harmful residue behind. The chips are dust free and easy to dispense, and can be used with a hopper.